The Syracuse University School of Education is one of three universities in the country hosting recipients of the Fulbright Distinguished Awards in Teaching Program for International Teachers (Fulbright DAI). 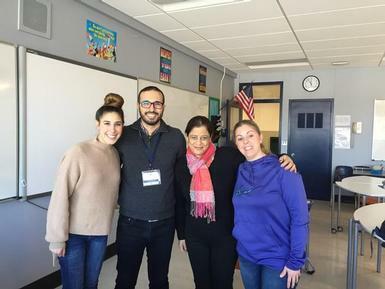 The program brings international elementary and secondary teachers to the U.S. for a semester of professional development. This year, eighteen Fulbright teachers from all over the world will live on SU campus for the semester and participate in classroom placements in Solvay UFSD, Syracuse City School District, and the Jamesville-Dewitt School District. We are so excited to be working with such a fine group of educators! Please join us in welcoming them to our district and showing them some of what makes Solvay special.